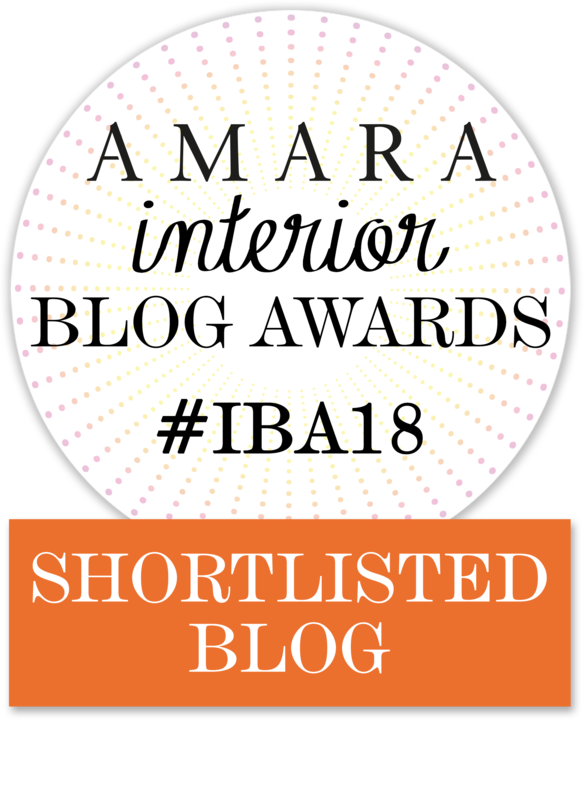 I’m sure fellow conservatory-owners will agree that they’re not the most practical of rooms, cold in the winter and too hot in the summer, they're often an unused and unloved space. We currently use ours as a dining room as there isn’t space for a table and chairs elsewhere in the house, but to be honest because its not somewhere I’ve ever been proud of it, its become a bit of a ‘dumping ground’ for all our junk. But with little lady now on the move (and fast collecting ALL the plastic crap), my new years resolution was to get this room looking better and therefore becoming somewhere we can properly use. So when DIYshutters.co.uk got in touch to ask if I’d like some shutters for our home, my first thought naturally went to the conservatory. The order process was relatively straight-forward, I just needed to carefully measure the windows in our conservatory, both the width and height, as well as how far out the handles came - important for choosing the correct slat size. I went for affordable basswood with an outside mount, at full height and with a mid-rail. 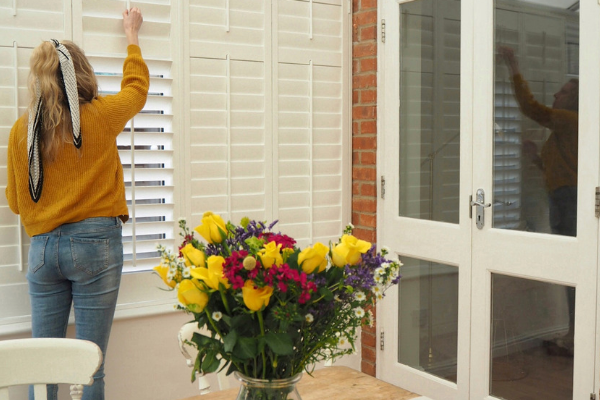 The shutters themselves took ten weeks to arrive, and despite the fact that its quite daunting DIY task to take on yourself, they were surprisingly easy to install. We started by putting together the outer frame, making sure it was completely square using a spirit level, and attaching them directly to the UPVC window using screws and a drill. We then put the shutters into the frame using the bolts provided, and that was about it! DIYshutters.co.uk have loads of really helpful step-by-step videos on their site which were invaluable, so we followed those and it took around an afternoon to get them all up. 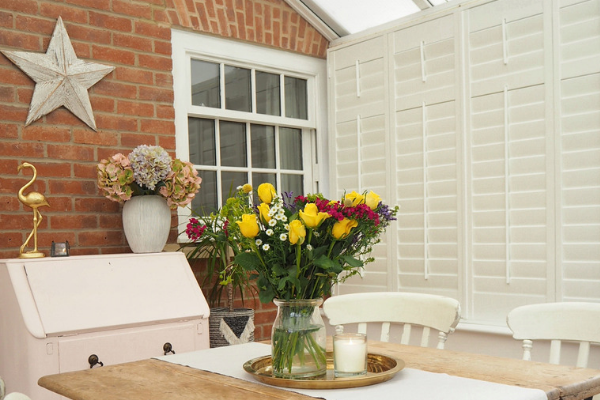 The shutters themselves feel really sturdy, and I was so surprised to see that they open fully (as you can see below), as I presumed t it would just be the slats that opened - perfect for in a conservatory that can get really warm in the summer months. I'm absolutely over the moon with how they've transformed this space, and helped me fall in love with a room that I previously hated! 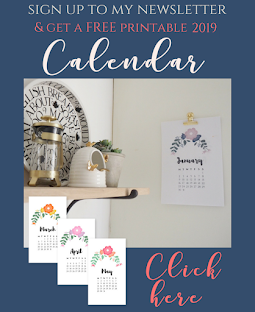 But the best news is I’ve got a fab discount code too if you want to treat yourself to some – use DOVE25 for a huge 25% off on all orders (except express delivery) before Friday 31st May 2019. What do you think? Looks so much better in here now don’t you agree? !